Charges 1or 2S Packs with MICRO, MX, JST, SM, mCPX or XH plugs. 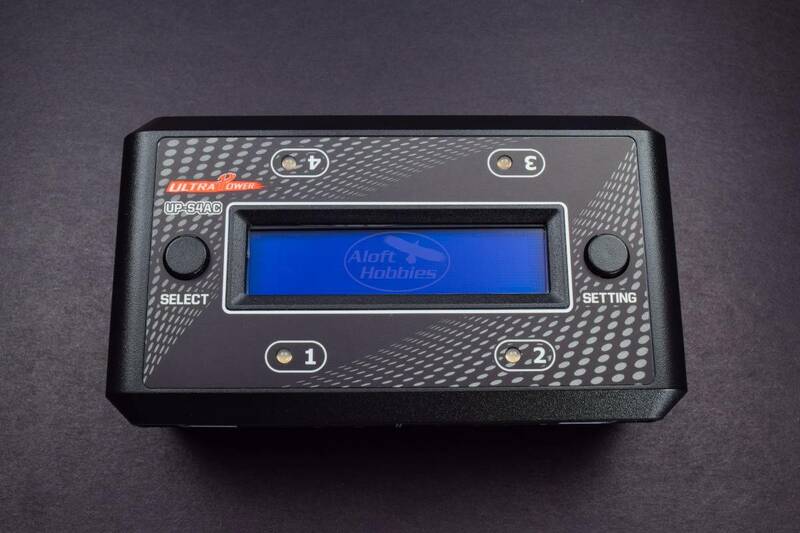 Here is a really nice little charger for us Whoop flyers. This beats parallel boarding your 1 or 2s batteries hands down! Parallel boards require vigilance for safe operation. You can only charge batteries that are resting at the same voltage, have the same number of cells and those cells have to be the same capacity. HV's and standard 4.2V's cannot be (effectively / safely) charged together. Conversely, if you use this charger, none of those issues are a problem. Each cell is catered to by the charger. 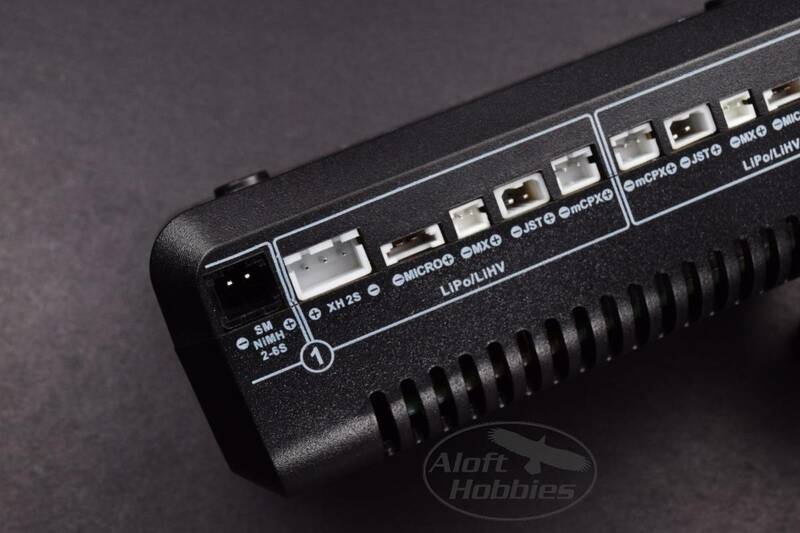 You can set the charge current for all 4 outputs (not individually) and set the charge cutoff voltage independently for each of the 4 outputs to 4.2 or 4.35V. This is a very flexible method for charging batteries, especially if you want to charge different types together. 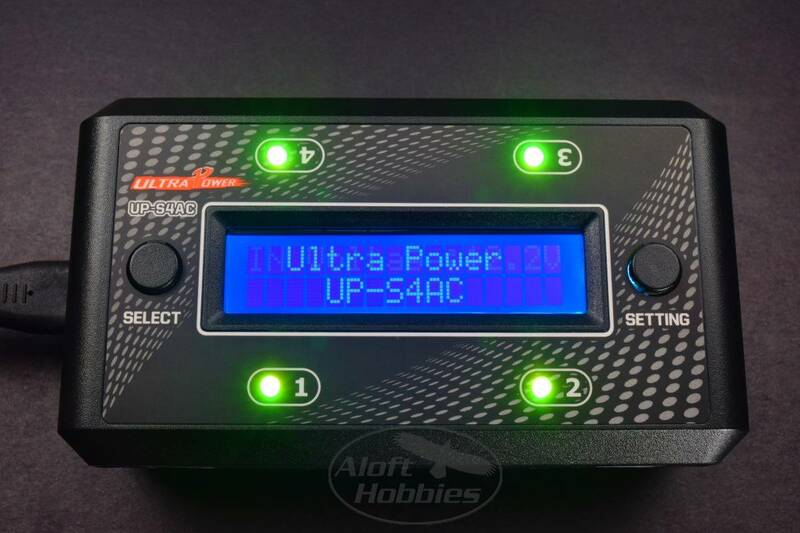 So, as if that wasn't cool enough, the UP-S4AC can be powered by a Lipo pack or by it's internal AC power supply. 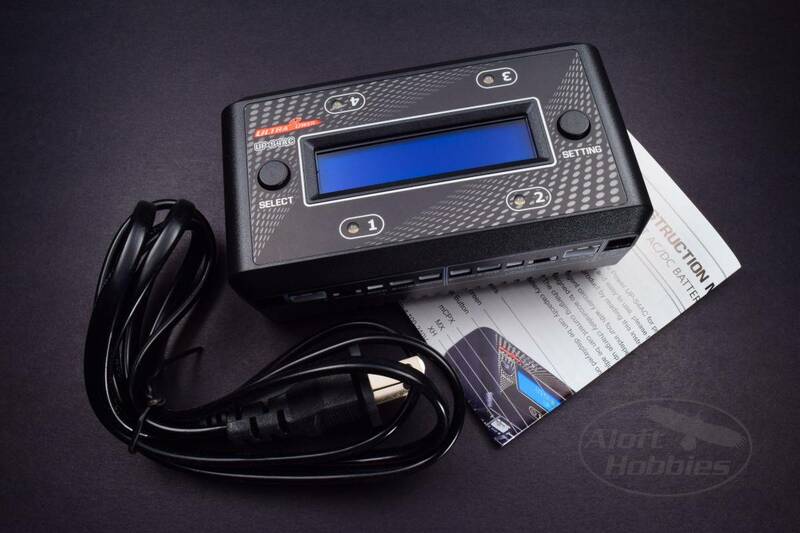 At home, on the bench, you can charge carefree using good 'ol 120VAC out of the wall, or take this charger out into the field and fill up your packs using larger LiPo packs(4000-5000mah); or if you have an electrical adapter (links below) you can power the S4AC from your car battery too! Max Output 7W X 4.